The original intent of just compensation was exactly that. A Just-ified compensation for an eminent domain-ed property. This meant that going rate for property in the immediate area was paid. All assets of the property were taken into account. Develop-able and, timber, mineral rights, water rights all accounted for a compensatory asset. Stated in our Constitution in the 5th Amendment that property shall not be taken without just compensation. It does not anywhere says compensation it states “Just Compensation”. Just compensation is “Fair Market Value” . In today’s environment of takings the buyer seems to think that fair market value is the lowest price they are willing to pay. This is not “Just”. It also is not ethical or morally right. And in the case of big business should never be allowed to happen. The takings that are happening today are immoral done, unethically done and plain not justified. I have first hand knowledge as to how the non-profit groups do this. They will first enter an agreement usually verbally that they are willing to pay a set amount. In our case we set a price for our property. Then the group enters into an appraisal period to see what the “fair market value” is. This value is based on other sales in the are f equal property asset, in simplistic form. In the case or our property the non-profit had been operating in the area for some time and had appraised several other properties in the area lower than actual value which then lowered our property value. These same properties were base on other non-profit purchases. Get the picture. No timber was taken into account as value on the land. No develop-able property was taken into account. No improvements were taken into account. The value of a potable water creek had no value. River frontage had no value. The barn and house had very little value. The appraiser that was used just so happened to be a big donor to the non-profit NGO that wanted our land. The same donor hired appraiser had already appraised other properties in the area. These same properties were used to identify comparable properties to identify value. I see this as collusion. It may be, completely legal, to conspire in this manner, but no matter which way you see it, this is still unethical and unfairly using the law to screw the public and TAKE land. Snohomish county knew about what could happen and negligently did not do anything proactively. The county even allowed permits for building new homes. This is GROSS NEGLIGENCE and GROSS INCOMPETENCE. They knew about it and chose to not spend the money, WHY? Now look at the money they will have to spend. If they had spent the money and put the land into a mitigation bank this would not have killed people. Yes they knew about the risk back as far as 2002 and more that likely some study done before 2002, paid for by tax dollars. But of course the insidiousness of this knowledge doesn’t is never talked about. Often in an Ecology sensitive area, the groups involved know about a lot of things that could be happening even orchestrating situations so that things can happen. This is so they can study the results. Then play the save the whatever card to keep studying and pushing forward their agenda. The county chose not to spend upwards to $1.6 million to save lives. SO NOW HOW MUCH WILL THE COUNTY BE SPENDING? GROSS NEGLIGENCE! INCOMPETENCE! The county of Snohomish should be held accountable! The real estate agents that sold the properties should be held accountable. The engineers who did not speak up loud enough to force a proactive action, should be held accountable! And no one should allow any of these people and organizations to kick the can around to avoid being held accountable. Anytime there is a controversial plan for something related to energy the ecology groups and earth-firsters come out in droves. They will create an environment of controversy enough for the different companies to bend a little. They (big companies) have their own requirements when doing any project. The biggest one is their mitigation plan. In plain English how much land will they set aside to offset the amount of land that they use for their project along with how much land will be affected by doing business. If they don’t buy land outright to put into conservation themselves they may donate the money to a mitigation bank that is being steward’s by a trust (i.e. non-profit). Mitigation banking was established in the early 90’s, to satisfy a U.N. policyon environment. Makes it real easy for big business to satisfy EPA policy just pour some money into a NGO that stewards land??? I saw this take place live on the Columbia River. 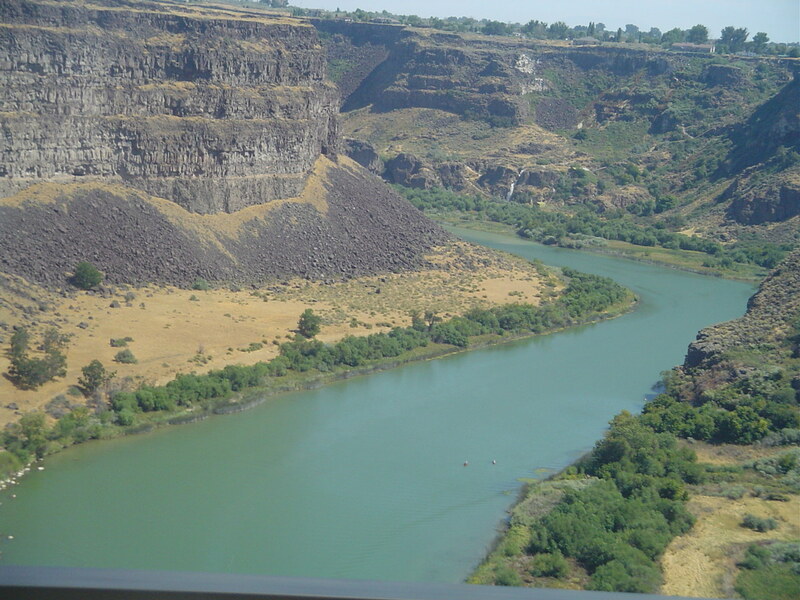 This issue started with need for the Columbia river to be dredged. The Columbia River normally gets dredged for maintenance. This time was different, they said that the river needed to be dredged deeper than ever before. Now why would it have to be dredged deeper. Then the announcement was made, if 4200 acres of ditched a diked flood plain was returned to the lower Columbia estuary, then it would be safe to dredge the river. The 4200 acres was to save the salmon. The purchasing of land for salmon recovery took off like a rocket. This would make it sustainable for salmon. (see the word sustainable). For the next 5 years NGO’s working with GO’s started every project they could dig up, to save the salmon. They also bought land like crazy, (only if they could buy it for nothing) even with unethical business practices, to get it. With save the salmon moneys 4200 acres did not have to be purchased, as long as 4200 acres of floodplain were returned to the lower Columbia estuary. Often times this meant buying a piece of land and creating a flood plain that also flooded other Peoples land. This accomplished big business moved in and announced the building of a Liquid Natural Gas terminal(for the loading and discharging LNG in bulk). The LNG ships needed the river to be deeper. The land that was flooded all on the Washington side of the river. And FERC (Federal Energy Regulatory Commission)chose the location on the Oregon side , for the terminal. Trade off, Trade off, Trade off. The mitigation plan complete for the LNG terminal and how much land would be affected by the LNG ships as well as the operation of business at the terminal. All is safe for the fish and everything is then sustainable. I find really fascinating that not many people are paying attention let alone commenting on this subject. The subject is how the Eco (Ecology Groups) are just rounding up land all over this country and best of all using taxpayer money to do it. Oh yes everyone will tell you that all of it is not taxpayer money and yes we should take care of the planet, because after all they (?) know how to do it. Now I ask you who is they? Why do they know how to take care of the planet better than a multi- generational farmer or rancher. Back some 30 some years ago The Nature Conservancy decided that ranchers in Colorado did not really know how to take care of the land. So, they decided that nominal ranches ( under 100 acres should be taken away and put under the conservator ship of themselves. They, meaning the Nature Conservancy and other such groups had the better education, knowledge and know how to take care of the land. They told the unsuspecting public that the cattle were destroying the land and it, needed to be put into conservation in perpetuity. This is an important point so pay attention. Leap forward to approximately 2002 (30 some years later). I came across some information that described land you could BUY. Yes, purchase it for your own personal use, but there were stipulations to the purchase. You could buy 5 acres, you would be able to enjoy 5000 acres at your leisure. You could call down to a barn and have a horse readied for you to ride. When you were done you could return the horse to the barn and they would take care of the horse, free of charge because of course your purchased 5 acres. You could build, with the stipulation, that it was a “GREEN” approved house. You could even join in the cattle ranching enterprise if you were so inclined. Here’s the rub: The barn operations where Nature Conservancy employees, the approval for a “GREEN” house was thru Nature Conservancy and the cattle that were running the 5000 acres were owned by, yes you got it, The Nature Conservancy. I ask you why kick the cattle ranchers off of their land, explain that the land would be saved in perpetuity and then later sell some of the land and operate a working cattle ranch on the very same land? In Perpetuity means: endless or indefinitely long duration or existence; eternity. definition from http://dictionary.reference.com/browse/perpetuity. All land that is picked up by an ecology group is taken as perpetual conservation land and is not intended for resale by said group. The group purchasing the land is after all a NON-PROFIT organization. These groups are out to save land for themselves not the people They see as a religious thing to do. They see it as their duty to take it away from you because you own it. They see it as a parental right to the planet. They also see it as a guardianship to the animals. Since animals have no human voice they will speak for them. These groups will always tell you they will not deal with unwilling sellers. but time and time again if they get away with it they will take it however they can. There is a network of people in this country that have an unlimited supply of money that will goo to great lengths to get land into the hands of their revered group of conservators. There is a town really it is becoming a big city in southwest Washington that successfully implemented a tax on its people. This tax money is given to the ecology groups in the area for its own use. Whether it be for “purchasing land” or purchasing development rights or rehabilitating habitat. It is freely given to them by the local government. Some people in this same town also feel that it is their religious duty to tithe 10% of their income to the local ECO group. No one wants to touch this. If it does not happen in my back yard it ain’t happenin’ seems to be the prevailing attitude of many. People all over the country are waking up to the government failing us why are they not waking up to the real takings of land from the people.